Being a fan of progressive metal can certainly broaden your vocabulary. 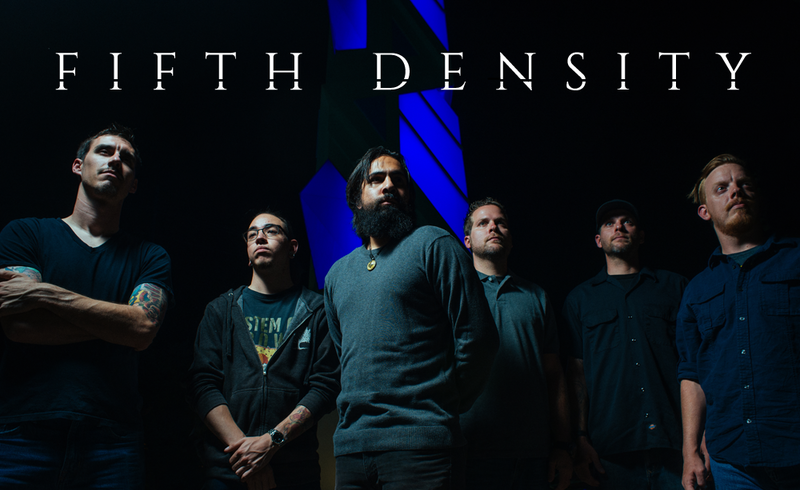 Phoenix, AZ metallers Fifth Density are newcomers on the scene; they have just put out their full-length concept debut “Dominion of the Sun,” and to get it straight away this record may be the best newcoming release I heard this year. “Dominion of the Sun” brings 11 songs packed in about 75 minutes. The music here treads that blurry line between slow-to-mid-tempo ambient rock metal, progressive metal, djent and death metal. Whichever of these is more apt, all of the requisite parts are incorporated: big, imposing riffs, larger-than-life atmospherics, captivating lead guitars and deep, powerful, despairing cleans and growls. This may not be completely original, but Fifth Density have taken the best of bands that are the leading players within the genre and made it their own. The compositions and songwriting on “Dominion of the Sun” is professional, it’s as if the band has been doing this for many years, but still there is a lot to improve. 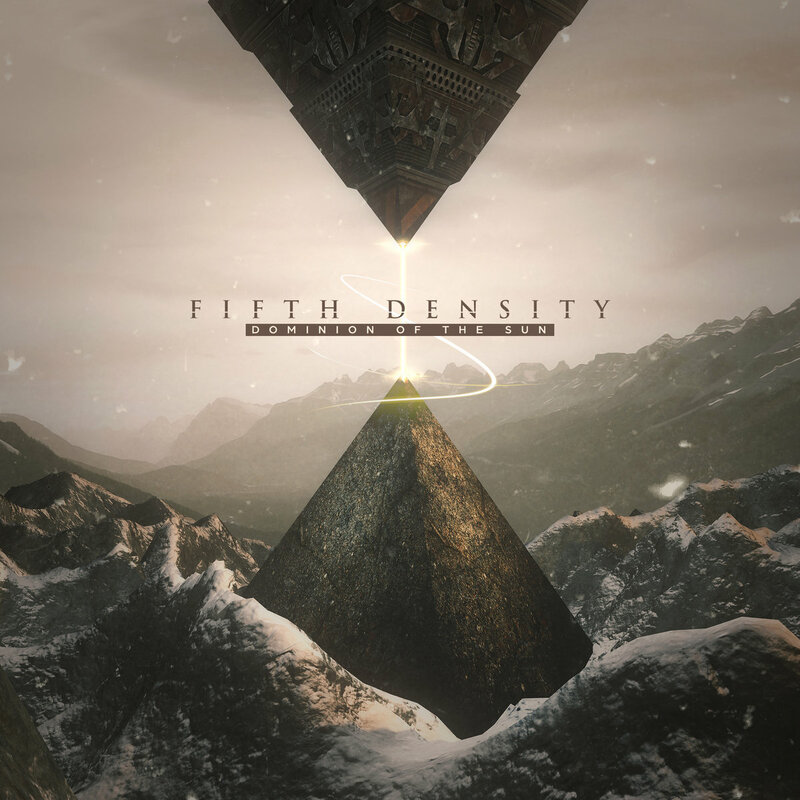 Fifth Density ultimately prove to have as much in common with the psychedelic experimentation of later Opeth or Tool and even the textured melodicism of Sigur Ros as they do technical heavy music, but they don’t sacrifice urgent impact. Critics and fans will admire their intelligent approach to the crushing riffs of tech-metal, which becomes more vibrant with elements of ambitious post rock and jazzy / fusion-infused virtuosity. Even when angular riffs, odd time signatures, and devastating breakdowns give way to hypnotic,ethereal, and trancelike musical meditations, Fifth Density are never lacking in total power. I’m not going to end up dissecting “Dominion of the Sun” by giving highlight moments or reviewing tracks separately. The reason for that is that “Dominion of the Sun” is a concept album, and as that it needs to be listened in a breathe and you don’t need me telling you what this or that song sound like. Fifth Density is without doubt one of the most exciting new bands to appear this year and that’s up against some great prospects. “Dominion of the Sun” may with its 11 tracks is a generous one and the songs are so good that it fully deserves full marks. If they can follow this work of genius with a release of similar quality, they’ll very quickly find themselves among the metal elite. Get the album from Bandcamp, and follow Fifth Density on Facebook. You can also stream it below.